Below are some websites and downloads that will work for a short time while in trial mode, that your child might like try to get back into school mode. One website which might be useful to try out would be www.purplemash.com . You can get a free 30-day trial, and again if your child’s school is using this, you may be able to get a home login. In particular, on this website, I recommend activities such as 2publish, which would allow your child to write creating stories including audio, pictures, and videos. Using 2connect, a mind-mapping activity, they can plan and sequence before writing. Writing personal stories, ie. What I did last week, when I grow up, etc can be very motivating and help maintain attention. Writing about daily activities can be useful in helping establish sequences such as getting ready in the morning, how to make a sandwich etc. this could then be extended to recalling a movie plot for example or recreate a recently read book, paying attention to what happens first, then next and how it concludes. In the 2publish plus, 2annimate and 2code activities, the child is guided to work on sequence movements of characters and items, which should assist with planning, and when editing, visual memory ie. What do you need to change to get X to turn left instead of right? You can use this to stop the animation and ask what happens next, again to work on visual memory, critical thinking, maintaining attention etc. There are lots more activities that are worth exploring, mostly aimed at the primary school curriculum. As this is web based, it can be accessed from any device. www.ixl.com/ie is one of the few websites that follow the Irish curriculum for both maths and English. While it is subscription based, it does allow for up to 10 problems /questions to be solved each day without paying, which is a nice short session, particularly for the summer months, when sitting at a computer may not be the most motivating! It should provide extra support for the maths and English activities your child is doing in school, giving them extra practice with gentle correcting from the website, so they can learn independently. Answers are usually in a multiple choice format, and it covers the curriculum from junior infants through to sixth year. Again, this is web based and can be accessed from PC, Mac, Apple, and Android devices. The free 30-day trial version of Clicker 7 from Cricksoft.com is a great way to experience this literacy support software. It has lots of features for those with literacy difficulties, including word prediction, where the software helps writers by giving a list of words that can be read aloud by right clicking on them, before selecting with a left click. This software also has a mind-mapping tool, the ability to create books and other activities, but one of my favourite features is the text reader. This will read aloud content (either the whole page or just selected words) with highlighting, so that the text can be followed, which again helps with word recognition. Premade books and activities can be downloaded within the software, so that the child can experience vocabulary and work on comprehension on topics that interest them. As this is a downloadable software, it is not available on iPads or Android tablets. www.starfall.com has some great activities for those who are starting out with literacy and numeracy skills. Easy to use activities that are self-correcting are appealing to young learners, with the option of buying a subscription to access more activities. Most of the activities are Flash based, so may not work on tablets. Mathschimp.com is a repository of free maths games, suited to a primary and secondary level. Most take a fun element to drilling maths skills, and a mixture of formats are used, depending on the website linked, so most will work on any device. www.cookie.com focuses on maths and science for the lower end of primary school, with some interactive activities. Literacy based games and stories are also featured. www.coolmaths4kids.com also has some basic maths games that require quick thinking! These last two websites are mostly flashed based, so again may not work on tablets. For any budding authors, www.storybird.com is a website that will provide a selection of art for use in your own literary creations, be it short stories, novels or poems. These are just a small selection of games available free of charge online. Hopefully, your child will have fun exploring and playing! For some non-verbal children, choosing pictures or symbols with their hands is not an option, due to conditions that make it difficult for them to reach, point to or grasp. For these children, we need to look at ways for them to select picture or symbols, without undue effort or stress, so that they can communicate in an easy, timely manner. Children naturally look at interesting pictures placed in front of them. They may not yet have the idea that looking intentionally at a picture caused particular outcome (i.e. looking at the picture of the book results in a story being read to them) but they may gradually make this connection over time (cause and effect) if the outcome of their selection, whether intentional or not, is consistently carried out. For both children making intentional choices and unintentional choices, eye pointing (selecting a picture or symbol by looking at it) can be a powerful way of communicating. 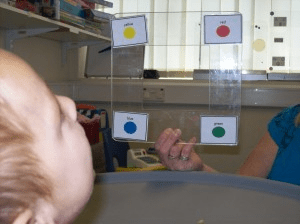 While many children may start with eye pointing to items in their visual field, it may be necessary to formalise this system, through the use of a consistent set-up. An Etran Frame is one method of doing this. An Etran frame is like a large square, see-through donut, with a space in the centre (see picture below). It is usually made from a plastic transparent material, such as Perspex. It sometimes has a base or is mounted on an arm, so that the facilitator does not need to hold it, and has both hands free to interact with the child and their selections. The frame should be placed in front of the child, with picture symbols attached, facing toward the child. The hole in the middle is used by the facilitator to see the child and follow their gaze, to interpret what picture or symbol the child is looking at. The child should be positioned well, with the Etran frame square on, in front of them. If possible it should be mounted, to prevent it moving around. The partner should be directly opposite the child and able to make eye contact through the hole in the centre of the frame. Plan to use 2-3 locations initially – with the top left and bottom right being the first positions to introduce pictures. The bottom right will always be used as an “All Done”/”Stop” indicator. The vocabulary at the top will vary according to activity. The child needs to get the idea right from the start that this is a good game. Use highly motivating objects, activities or toys and stick symbols directly onto the frame. Bluetack or Velcro is really the simplest and best method. If you stick on picture symbols, make sure that you write what they are on the back, so that you can see which is which! (You cannot both read their eye movements from the front and keep popping around to see the child side of the frame and “sitting on his or her shoulder” to see what they are pointing at). How many objects are pictures? Not too few (boring), not too many (overwhelming). Two, then quickly onto three is good. Move up gradually. Model the activity for so that a child knows what they’re supposed to do. Let the child see you sticking pictures/symbols to the frame. When the child looks at the object for 1-2 seconds, use the selection frame around the symbol s/he looked at (for visual reinforcement), and say “you looked at this. It’s a ____. Will we use/do_____?” (for auditory reinforcement). The reason for introducing the selection frame is for the future, when the child may move onto a high tech device and the selection is indicated with a colour frame around their selection. If the child doesn’t look at the symbols, say, “Where is the _____? Let’s look for the _____. You help me find it”. Take your finger and slowly point the item fixed in the position that is top left (to the child- always start at this same position). Say “Is this it?” Move your finger slowly and smoothly along to the next item along the top of the frame, if a second picture is being used. Try to take the child’s eyes with you as you move your finger “Is this it?”. Keep doing this until you get to the one you want. Then say “aha, we found it, look at the _____! Here it is!”. Take the selection frame and hold it around the symbol for 2-3 seconds, so that the child knows that this is the choice s/he has selected. For example, below shows the “Stop/All done” symbol selected. Ideas for using the Etran Frame. Book reading – Use a “Turn the page” symbol in conjunction with the “All done/Stop” symbol. A second symbol for “Read it again” or “new book” can be introduced later. Choice making – two symbols plus the “All done/Stop” symbols are required for this i.e. book vs. teddy, walk vs. car, visit Granny vs. visit shops, jack in the box vs. popper etc, etc. Even choosing clothes, colours, toys etc. Playing games – Simon says is a great game for group activities. Use a couple of actions such as “dance”, “blow raspberries”, “sing”, “wiggle your bum” “hop” etc. etc, so that the child can tell others what to do. Use teddies/dolls for pretend play. Ask the child which s/he wants to play with first (“teddy” and “doll” symbols) and then choose what to do i.e. “have a drink”, “have a bath” “go to bed” etc. etc. We often get asked for cause and effect apps requiring gross motor skills i.e. hit anywhere on screen, rather than on just a specific location. 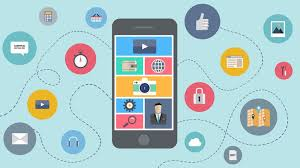 Below is a list of apps that either uses the whole screen as an activation area, or a large section of the screen, giving a high success rate. These are free unless marked with asterix (*). Have you come across any others not on this list? Please let us know in the comment section below. Bett (the British Educational Training and Technology show) was held over 4 days last week in London. This is one of the world leading exhibition in relation to technology for primary through to third level education. A good amount of stands were focused on IT support for schools, cloud storage, and the IT curriculum for schools, and there were also a number of talks and presentations taking place, but due to time constraints, I was unable to make any of those. Clicker have just brought out SuperKeys as an iPad onscreen keyboard. This is a two hit keyboard with word prediction and looks really nice. More info here. Claro now have a PDF annotator app with text to speech. Also Claro MagX – an app for magnification and zooming. IntoWords – text to speech and word prediction for android, iOS, Chrome and Mac. 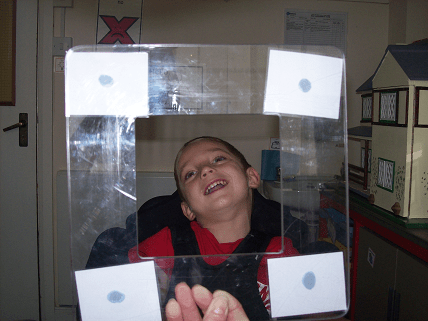 Engaging Eyes – Not eyegaze, but works on improving visual tracking for those experiencing difficulty with reading. 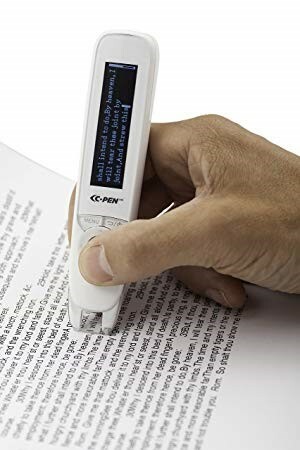 Text Reader – a reading pen that can capture 80 letters per second to read back. Can add headphones. iOS keyboards from Assistiveware – Keedogo and Keedogo plus are high viz onscreen keyboards, with word prediction in the plus version. Keeble has customisable keyboards, that can be switch accessible, but it’s the first one (that I’ve seen) that allows for select on release or select on time out, so handy for those individuals who use the touchscreen to stabilise their fingers. Clicker Com, an AAC app, is due out shortly (March?). Many have used Clicker as an AAC system in the past to good effect, so having a dedicated app is a plus. SymbolKommunikation – scheduling apps that can be modified remotely. Widgit now have an app for iPad – can be used as a voice output device, or to create symbol based documents includes all the Widgit symbols, plus ability to add your own. £54stg. Proloquo4text – from Assistive Ware – similar to Predictable, a text based iOS app. Has Quick talk, saved phrases, and the ability to auto detect language changes. Widgit are bringing out a language comprehension screening tool later this year for ages 2-5 yrs. Matchware – MindView 6 will be fully compatible with Dragon 13 voice commands. Due out in March, but they are going to forward me a trial. Smart Robot Coding School from SK Telecom – Albert, a smart little robot will work from commands you give him. Can be used to practice coding, numeracy skills, play games etc. Kurtweil have a nice iOS app for those with visual difficulties/dyslexia – KNFB reader. Switch access to the iPad has been available for some time, and while the addition of switching to iOS7 has opened the iPad to many, particularly experienced switch users, the use of third party Bluetooth switch boxes allow for a simpler access method to specified apps. This can be useful for those who require an easier row column scan or a simple scan pattern. Samples of switch accessible apps are outlined below, which may help switch users access the iPad for leisure, education or communication apps. 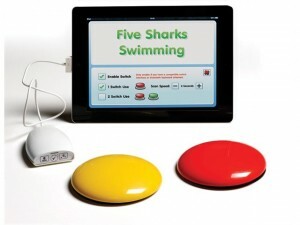 Apps such as Inclusive Technology’s Five Sharks Swimming, Five Little Aliens and Smarty Pants, as well as apps like Rad Sounds require a single switch hit to start an activity. 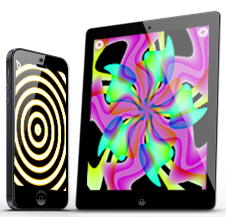 Big Bang Pictures, Sensory iMeba and Sensory Magma are apps designed with individuals with visual impairments in mind, as the images are high contrast. Splodge is an app that splatters paint on screen with every switch press. Switch Kids, TouchMe PuzzleKlick and the Sights and Sounds range of apps look at developing multiple switch presses to complete an activity. Little Lost Penguin, Hurdle Champion, Jungle Adventure, Sensory Room and a personal favourite, Splat the Clown, all have elements of timing switch hits associated with them. Rather than “flyswatting” the switch, the user has to wait until an object is in position before hitting the switch. For example, in Splat the Clowns, you have to wait until the clown is in the target area before you throw a pie at him! Matching Cards-Snap and Memory Pairs require a switch hit when two matching cards are displayed onscreen. New Age Kurling, Switch Box Invaders and Space Shooter are addictive games suitable for older students, requiring some timed switch activations. Bumper Cars and Shhhh! 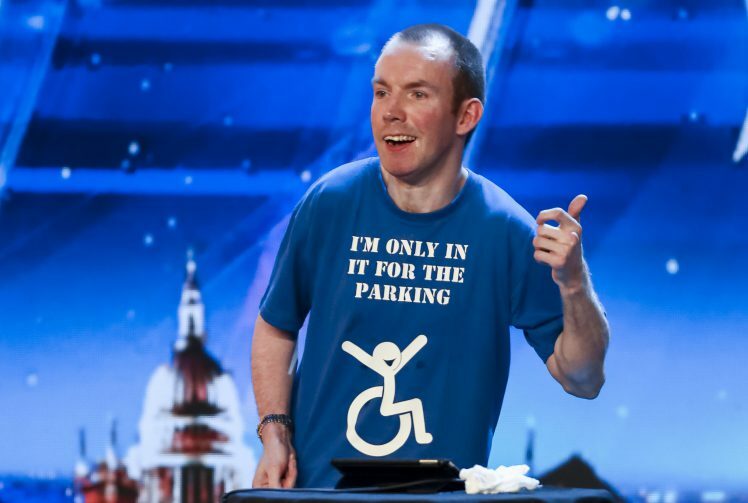 from Inclusive and Turn Taking – Switch and Touch Accessible bundles allow two switches to be used by two separate individuals to work together on an activity. Sensory Just Touch and Sensory FotoFrez can be used with up to four switches which each carry out a differing effect on a photo. Catch the Cow is a simple scanning game that introduces more complex scanning patterns. Racing Cars allows you to select which car to enter in a race. Scan and Match also targets multiple choice scan to match to a stimulus at the top of the screen, as does Switch Accessible Matching app. Aunt Maggie’s Recipe allows users to select various potions to combine and then choose who drinks the concoction! Switch Accessible Puzzles provide a high tech version of form boards, where pieces have to be inserted into the correct slot. Treasure Island is a game where you have to visit differing sections of a map in order to find the treasure. Switch Trainer has a variety of activities that work from a cause and effect to simple scan level. Train Tracker is a nicely designed game that allows you to set up a track for your train to travel along. Koppy Kattz requires memory skills in order to repeat a sequence of up to five locations. Switch Accessible Mazes has three different levels of complexity to challenge the user. ChooseIt! Maker3 can create activities on a variety of levels, but these must be made on a pc. Switch Trainer has a variety of activities that work for single switch simple scan up to a two switch scan pattern. First Alphabet One Switch pro introduces the alphabet to switch users. Scan-a-word lets switch users work on letter matching skills, giving auditory feedback. Rather than moving across a set list of options, a target constantly changes in the one location. ChooseIt! Literacy has approximately 250 activities that can be used to reinforce the curriculum, working on phonemic awareness, the alphabet and visual recognition of wards. ChooseIt! Numeracy focuses on shapes, space and early number skills, while Tom’s times tables Pro allows users to practice their multiplication tables through multiple choice activities. ChooseIt! Science contains over 160 activities based on the UK science curriculum, many of which would have relevance to schools here. Books that are easily switch activated include the Adapted Play books – EIEIO!, Peanut Butter, Dirty Duds and Hurry!Hurry!. MyOwnBooks2Go is an app containing many easy to read books. Interactive books include I Can Help, A Leader Is and Recycle It. There are many switch accessible communication apps available, so only a selection are mentioned here. The TapSpeak range of apps, which includes the Button, Sequence and Choice options, allow communication from a cause and effect level to a choice making level, includes some options to customise how the switch works. Auditory scanning is also possible. Alexicom is a subscription based app, where by you can create your own pages or purchase pre-made page sets.There is no message window to construct sentences, or text screen to spell out words. GoTalk Now, an app version of the popular low tech AAC device, allows for linked pages with between 1 and 25 locations. There is no message window but auditory scanning is possible. Scene & Heard, a visual scene display app, will allow users to select various hotspots with a picture to speak aloud a recorded message. Traditional Grid displays are also possible. Sounding Board is a free app that allows for the construction of linked pages with between 1 and 20 locations per screen. Recorded speech is used and auditory scanning is possible too. TalkRocket Go is another similar app, where locations are presented in a list view. PicBoard, which is a non-speaking communication app, and its counterpart with speech output, TalkBoard, are both switch accessible. Talkboard gives the option of auditory feedback and a message window to construct sentences. One of the first AAC apps on the market, Proloquo2Go, is now switch accessible (version 3 and later). This has multiple scan types included to find one that best suits the end user. TalkTablet Neo is on a similar level to Proloquo2Go, for those who want both symbol and text-to-speech options to construct their messages.